Dubai, April 10, 2019: The 19th edition of Airport Show from 29 April - 1 May at the Dubai International Convention and Exhibition Centre (DICEC) will see the participation of Saudi Arabia’s prominent aviation industry players as the ongoing efforts to develop airport facilities and infrastructure picks up the pace ahead of plans to privatize the 27 existing airports. Leading the companies participating in terms of biggest stand size will be Dammam Airports Company (DACO) which operates and manages King Fahd Airport and its facilities, followed by General Authority of Civil Aviation (GACA), the aviation regulator of the biggest Arab Gulf state. The other exhibiting companies are: Alnahdi Aviation Technologies Company, Ground Handling Logistics, Riyadh Airports Company and Saudi Ground Services Company (SGS). 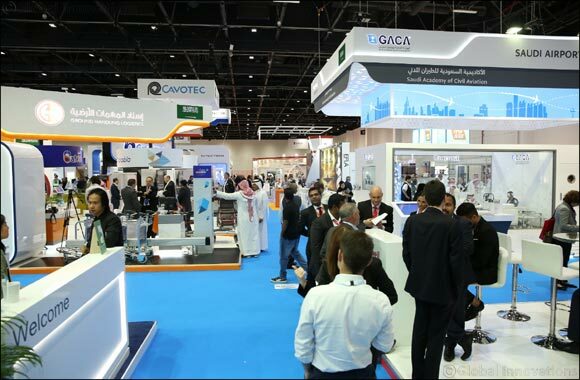 In all, they are taking up almost 600 square metres of exhibition space at the world’s largest annual airport industry B2B event, in order to showcase the exciting future growth plans for the Kingdom’s aviation sector. After the UAE, Saudi Arabia is the second biggest aviation market in the Middle East. New and emerging technologies are the focus of attention for Saudi aviation companies as authorities began focusing on the privatisation of 23 domestic and four international airports which collectively handled about 100 million passengers and 771,000 flights in 2018. GACA is leading the long term development and modernisation of Saudi Arabia’s airport facilities and infrastructure, which will help achieve the Kingdom’s Vision 2030 socio-economic reforms initiative. The GACA is working on two international terminals at King Khalid International, at an investment of US$589 million. Last year, King Khalid International Airport in Riyadh recorded the second highest footfall in the country with 27.9 million passengers. The Kingdom also has plans to develop new airports by 2020 in Al-Qunfudah, Farasan Island and Taif, Riyadh North (serving the provinces of Al Ghat, Al Majmaah and Zulfi) and Riyadh South (serving the provinces of Al Aflaj, Al Hariq, Al Kharj and Howtat Bani Tamim). The GACA is keen to develop the Kingdom’s airports network in order to keep pace with the steady increase in air traffic, increase the reliability of services, maximize geographic coverage and enhance the contribution of the airports to the overall economic growth of the country. It says solutions in the field of passenger and air cargo facilities will help improve the efficiency of airport services and take the Kingdom into a leading position into the digital transformation. One of the most prominent efforts is to make the Kingdom’s airports equipped with smart self-service facilities.